Coastguard stations set to close Jump to media player The UK's 18 coastguard stations are to be reduced to eight, with only three operational around the clock, the government has announced. Search and rescue fleet for sale Jump to media player The UK's Search and Rescue Helicopter fleet, which is currently run by the RAF and the Royal Navy, will be taken over by a private company. The UK's 18 coastguard stations are to be reduced to eight, with only three operational around the clock, the government has announced. Plans aiming to "improve levels of service while reducing costs" will see 24-hour centres in Aberdeen, Dover and the Southampton/Portsmouth area. Shipping Minister Mike Penning said the organisation of the coastguard dated back 40 years and "cannot stand still". 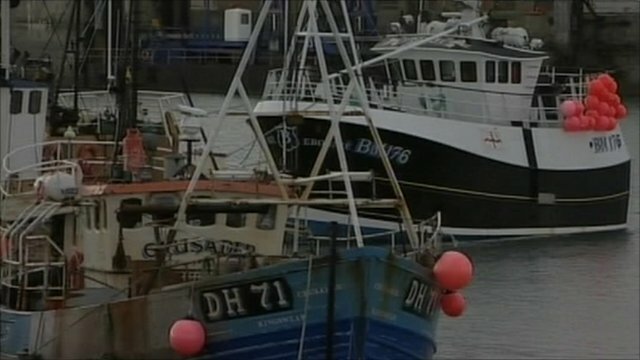 The cuts raise concerns about safety around the UK's coastline, says Labour.